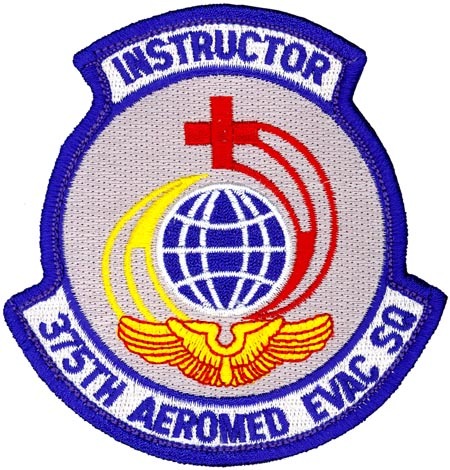 The 375th Aeromedical Evacuation Squadron provides rapid response aeromedical evacuation capability for any contingency. The unit trains, mobilizes, and deploys to support a Theater Aeromedical Evacuation System conducting aeromedical evacuation missions aboard C-21A, C-17A, C-130E/H/J, and KC-135R aircraft. The 375th AES provides command and control over the 775th Expeditionary Aeromedical Evacuation Flight executing CONUS patient redistribution of our nation’s wounded warriors. The 775th EAEF is comprised of a command element, AE crews, and crew support here at Scott AFB, IL. as well as AE crews and crew support at 2 other operating locations at Joint Base Andrews, MD. and Travis AFB, CA.